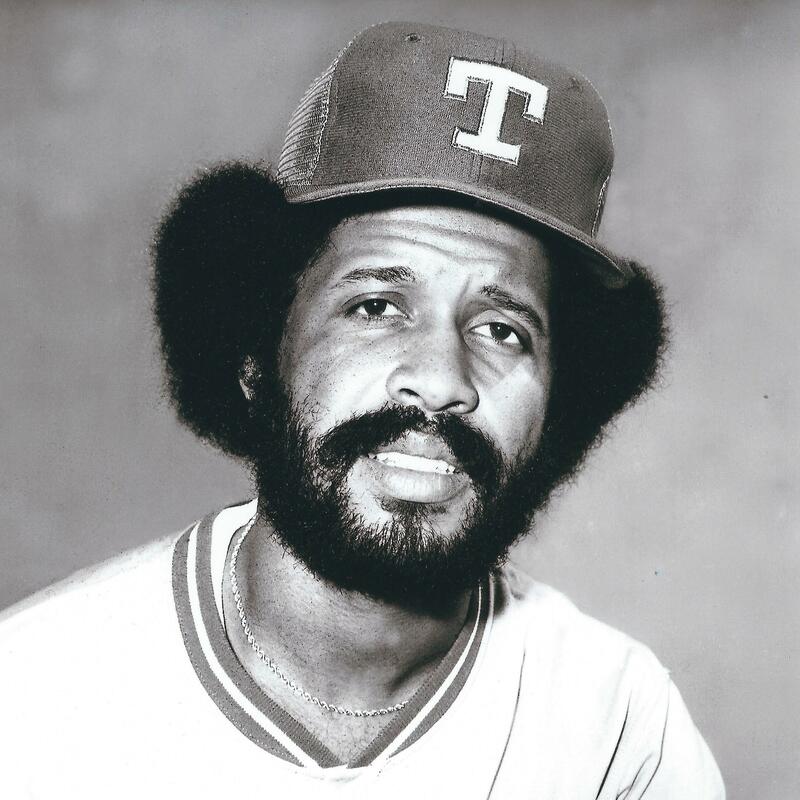 The hat never quite fit so it was a good thing that Oscar Gamble, who died Wednesday at 68, most often wore a batting helmet in his role as designated hitter for the 1977 South Side Hitmen. Gamble's ample, expertly coiffed Afro already has been prominently mentioned in the announcements of his passing, but it wasn't the hair that Sox fans remember from that magical season. The guy could flat out hit. Gamble was a controlled hitter with a fairly short swing and a working knowledge of the strike zone. 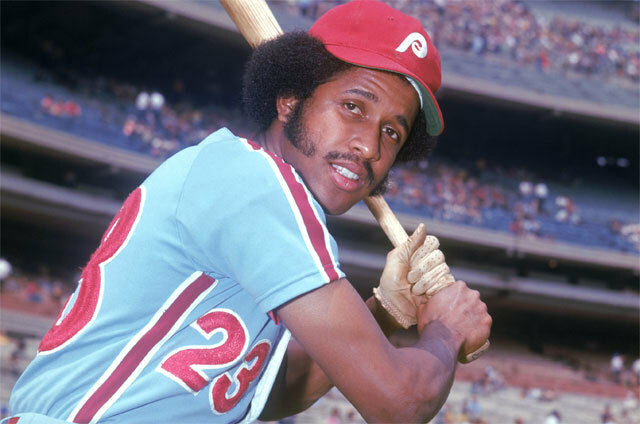 He struck out just 54 times in 470 plate appearances in the '77 season. Over the course of 17 big league seasons, he never fanned more than 58 times, while his on-base percentage was .356. 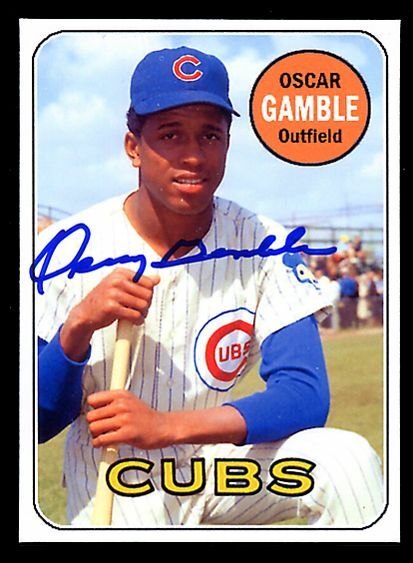 Gamble originally was drafted in the 16th round by the Cubs, who traded him away when he was just 19 and had racked up only a paltry 81 big league at-bats. He played for the Phillies, the Indians and the Yankees before landing on the South Side at age 27 as part of owner Bill Veeck's rent-a-player scheme. Veeck had bought the team that he previously owned (1959-61) in December of 1975 from Arthur and John Allyn, who had literally run the Sox into the ground and almost out of town. They were on the verge of moving to Florida when Veeck stepped forward with $10 million of financing to gain control of the team. Two weeks later, the reserve clause met its demise in the Andy Messersmith arbitration case, and free agency was born. Veeck wasn't naive. He knew that the rich teams like the Yankees and Dodgers would be able to control the market; underfinanced owners like himself might be able to sign the Lenn Sakatas* of the world (0-for-72 against the Sox before getting a hit), but the Reggie Jacksons would be far off the radar. So Veeck, for that one glorious season, traded prospects like Terry Forster and Goose Gossage for the Pirates' Richie Zisk and bartered Bucky Dent for Gamble**, knowing full well that each would be gone to the highest bidder after one season in Comiskey Park. But what a season it was. For many Sox fans, the most exciting in their lifetime. Keep in mind that the Sox hadn't finished above .500 since 1972, and they were coming off a 97-loss season. The Hitmen, led by Gamble's 31 dingers and Zisk's 30, led the division as late as mid-August, and were only two games behind the Royals, who won 27 of their final 33 games, going into September. The Sox wound up with 90 wins, placing third in the American League. They hit 192 homers and drew 1,657,135 fans, the most in franchise history until the '83 season. South Side Hitmen t-shirts were silk-screened by the thousands. Steam's "Na Na Hey Hey Kiss Him Goodbye" reverberated for the first time from every corner of cavernous Comiskey, fueled by Oscar, Richie and barrel upon barrel of beer. If that's what's meant by making America great again, I'm in. None of this could have happened without Oscar Charles Gamble. Compared to the muscular 200-pound Zisk, Gamble looked like a light-hitting utility man at 160 pounds. Zisk, a right-handed hitter, batted clean-up with Gamble, a lefty, fifth in manager Bob Lemon's lineup. Having played at Yankee Stadium the previous year, Gamble concentrated on pulling the ball over the short right-field fence in the Bronx. It was 352 feet down the line at Comiskey, but that didn't deter Gamble, whose 31 homers were 14 more than the year before in New York. And it just so happened that Gamble was a great guy, too. "[W]hat you need to know was that he was a sweet, decent man without a single ounce of malice in his heart, one who came through the door every day with a smile on his face," Reggie Jackson said Wednesday upon Gamble's passing. Gamble's passing not only brings back images of Gamble hitting liners into the right field bleachers, but also rof other ballplayers from that team. Chet Lemon was a stalwart in center field. 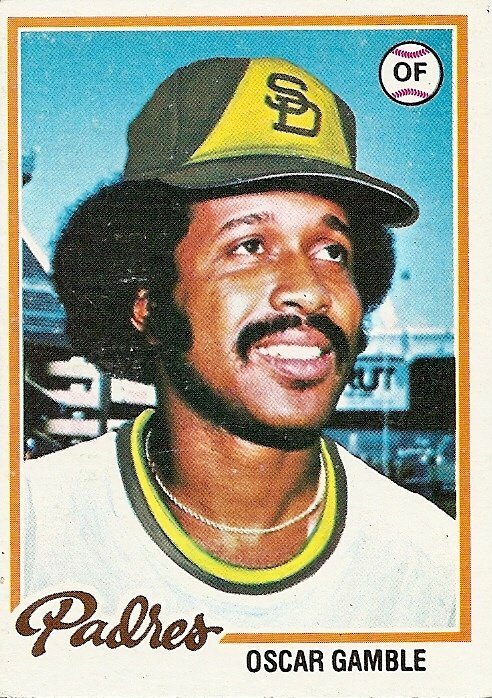 Ralph Garr, whose strike zone was nearly as large as the stockyards, hit .300 and never stopped hustling. Jorge Orta was a solid second baseman. Steve Stone won 15 games. Then there was Eric Soderholm, a former Twin who accidentally fell into a storm drain, injuring his knee so badly that he didn't play in 1976. Being an amputee, Veeck readily identified with someone who had been handicapped. He took a chance on Soderholm, who responded with 25 homers and fine defense at third base. It was that kind of year. As much as anything else, sports - and baseball in particular - create vivid, heart-thumping memories that remain until our days are spent. Those days and nights of the summer 41 years ago remain among the finest of all. * Editor: Hey Roger, why Lenn Sakata? Was he famous for being a journeyman? Didn't play for the Sox! Roger: He went 0-for-72 against the Sox before getting a hit. Guess that just got stuck in my mind. Sakata played 11 seasons in the big leagues. He was primarily a utility player, with a .230 lifetime average. The first 73 times he faced White Sox pitching, he was hitless. Then, after going 0-for-2 on August 11, 1983, in his first two at-bats (the Sox won the game 9-3 on their way to a division-winning season before losing in the ALCS to Sakata's Orioles) he made outs, but in the top of the 7th, he got a single off Floyd Bannister, who, by the way, was removed by manager Tony LaRussa immediately after Sakata's hit. I have a clear memory of Sakata jumping up and down at first base applauding himself. Obviously he knew about the streak. There were seasons when manager Earl Weaver benched Sakata for entire series' against the Sox since Earl knew the guy couldn't hit Sox pitching. Lenn eventually wound up hitting .069 (7-for-102) against the White Sox. 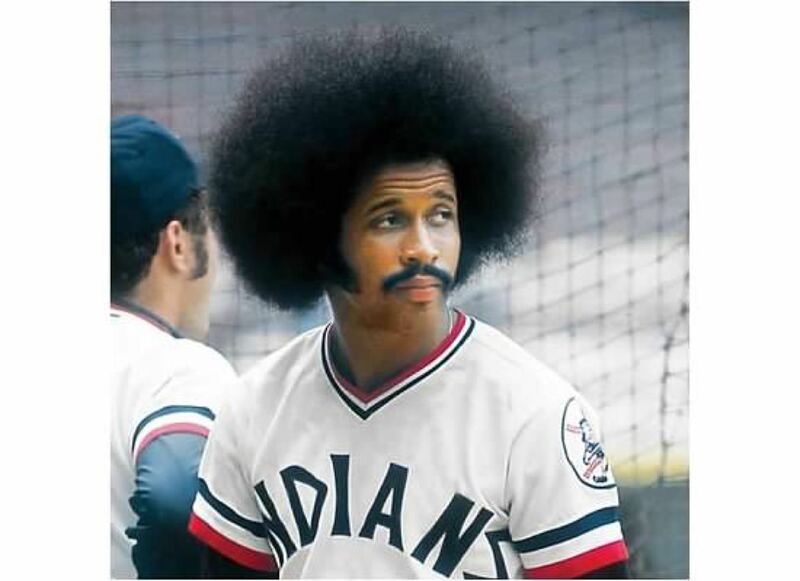 That's how he wound up in today's column on Oscar Gamble. ** The Sox also got LaMarr Hoyt, minor-leaguer Bob Polinsky and $200,000 in the deal.